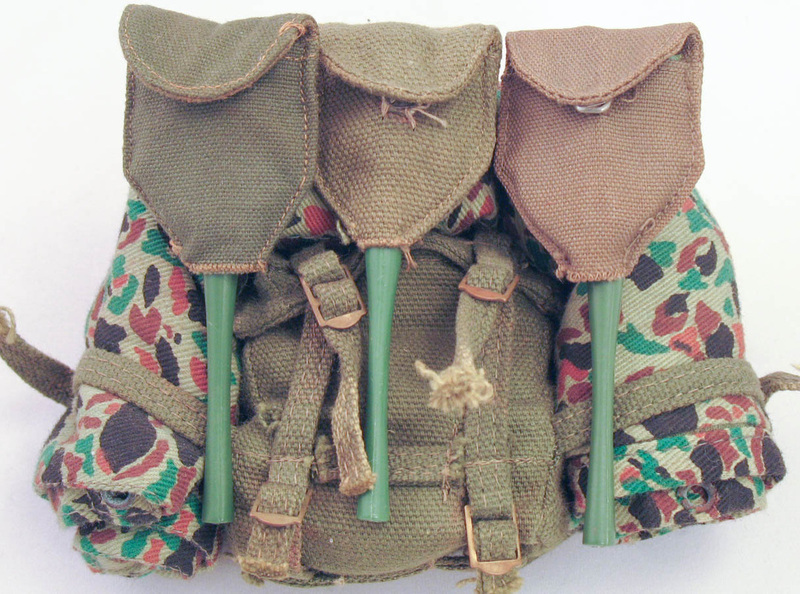 The Beachhead series paralleled the Soldier's Combat series, and used many of the same accessories. 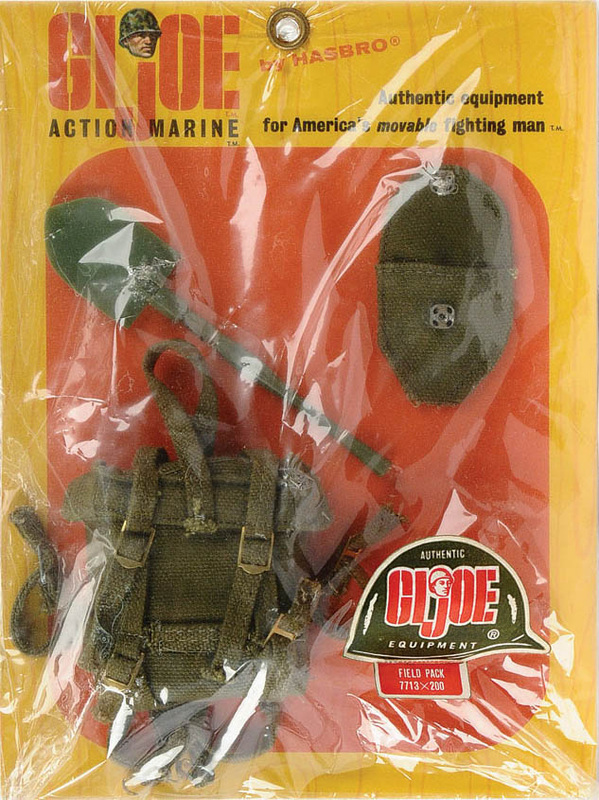 Collector Dan McKee has noted that when packaged Marine sets are compared to Soldier versions, fabric items like belts and packs are made from a more rugged looking canvas material in the USMC items. Whether this was accidental or purposeful is unclear, but it's a great detail to note. 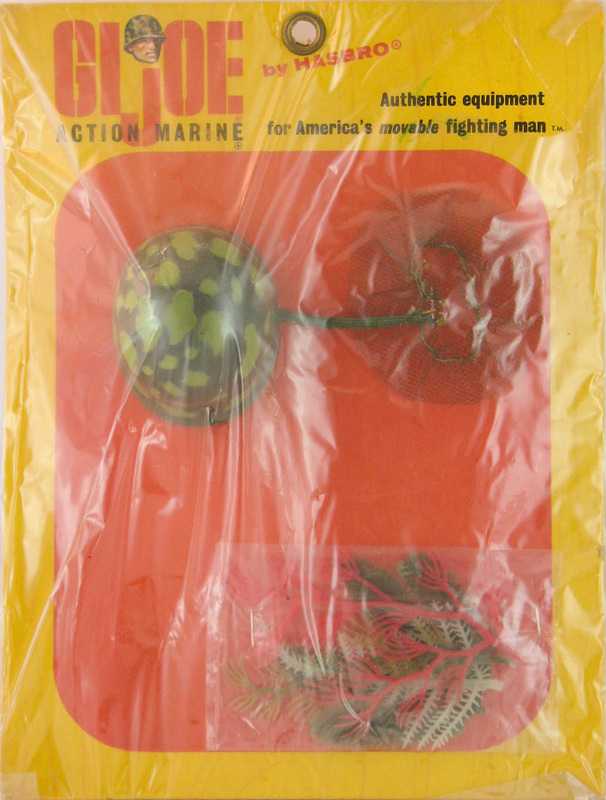 Beachhead sets came on a number of cards and window boxes. Images of flame thrower and field pack cards courtesy of Vectis Auctions Ltd. Mess kit courtesy Matt Babek. 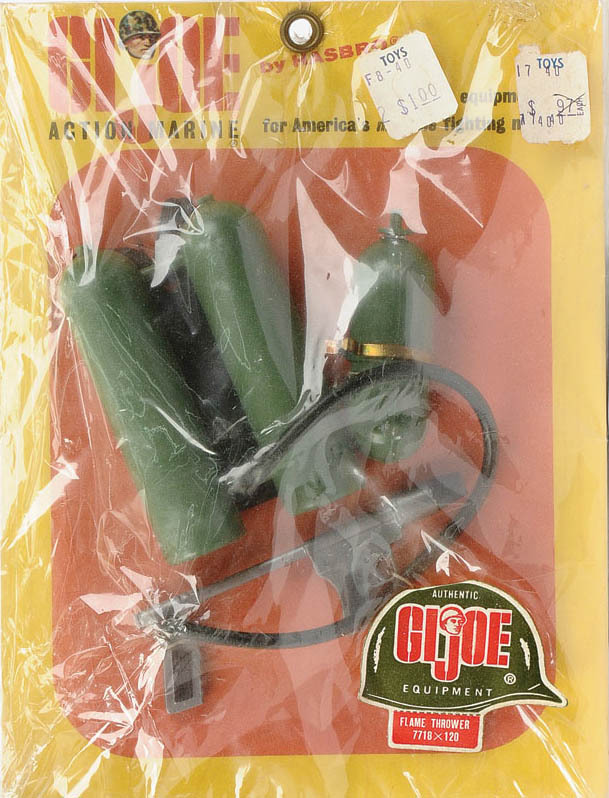 One of the most fearsome weapons in GI Joe's arsenal is the Marine flame thrower shown above, originally issued in solid green, and later reissued in the Australian and Marine Jungle Fighter sets with the addition of camouflage. The Beachhead tent set doesn't get displayed nearly enough in collections. Give it a spin! Another Joe ready to hit the beach! 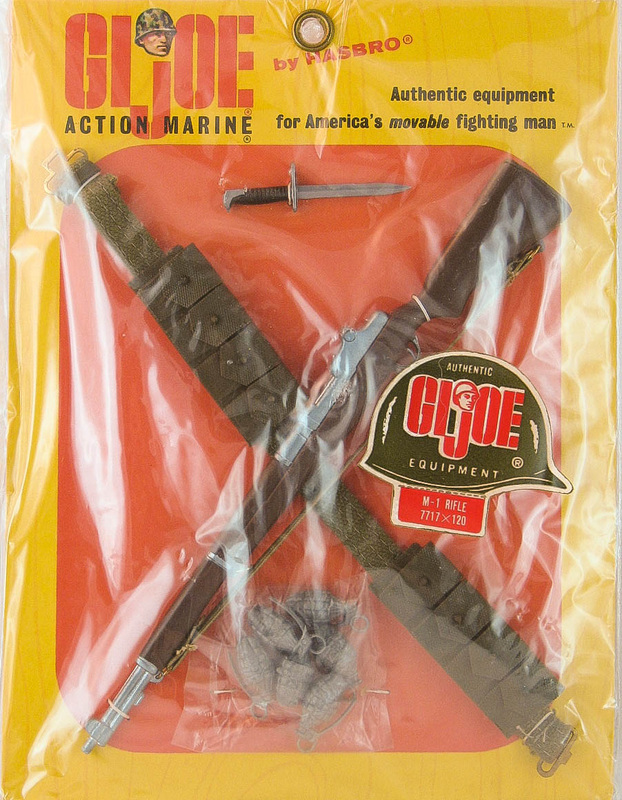 You can find info about variations of M-1 rifles, entrenching tools and web belts over on the Action Soldier Combat page. 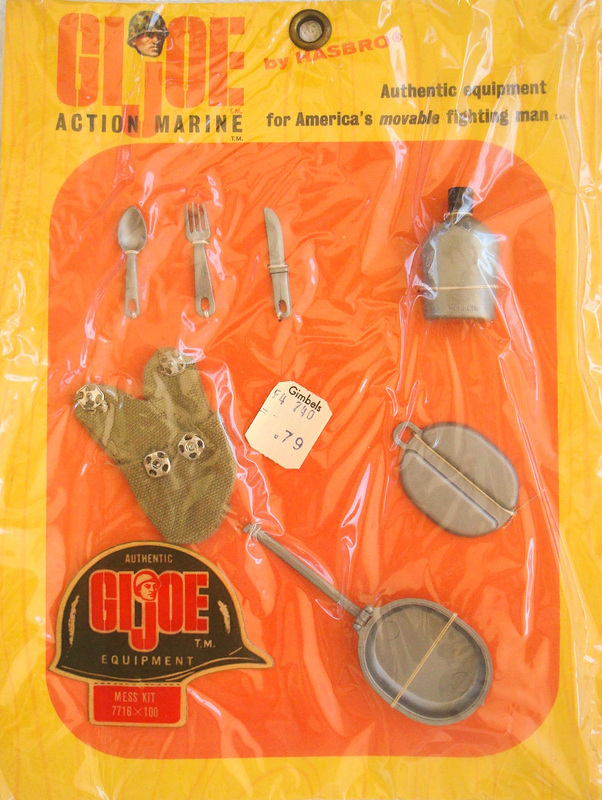 Canteen and mess kit info will be found on the Action Soldier Bivouac page. Below, standard release and early issue combat helmets. 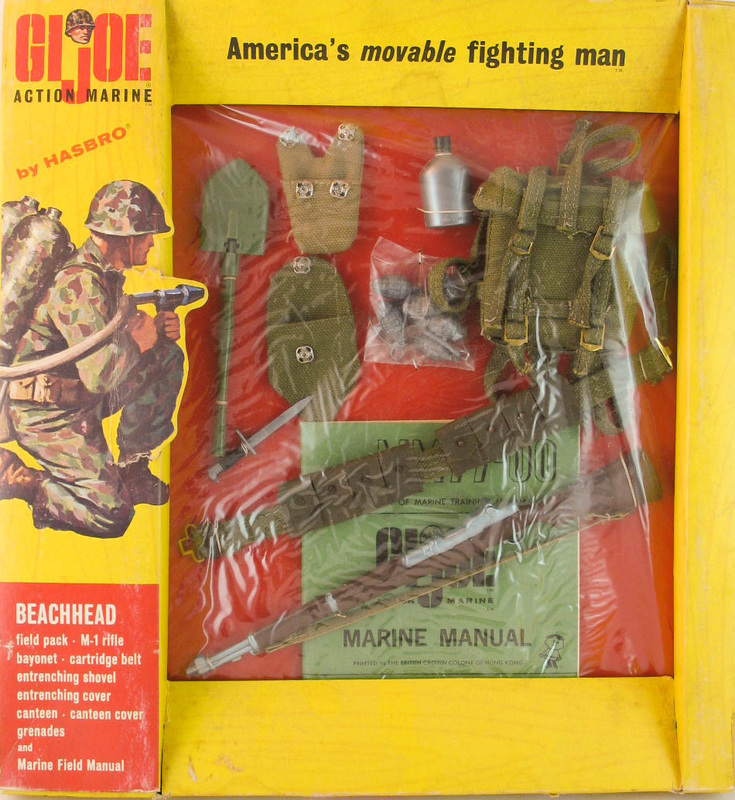 Both are marked Hasbro (R), but note the bright green plastic and yellow camouflage of the early example on the right of both pictures.